At Optimal Physio we provide only the highest level of treatment designed specifically for you. Our approach combines physiotherapy, sport science, prevention and cure to help you get healthy and stay healthy. We help you understand why you have your pain and will explain your diagnosis and treatment plan fully. Any questions just ask! We strive to develop our skills everyday and undertake ongoing training and development modules to allow us to do so. That’s why we’re specialists in sports injuries and spinal pain. Physio treatments may include a variety of techniques ranging from advice, exercise, mobilisation, manipulation, massage, soft tissue release or acupuncture. All our physiotherapists have specialised in musculoskeletal physiotherapy. Find out more about our Physio’s areas of expertise below. Andy works evenings and weekends at our Newton Mearns Clinic while continuing to work as a paediatric physiotherapist in the NHS. Graduating from Glasgow Caledonian University with a 1st class honors degree, Andrew initially worked within private practice and professional sport before joining the NHS to fulfill his ambition of working with neurological paediatric patients in 2016. He continues to maintain his skills within elite sport working with Scottish Hockey’s Seniors Women Squad; having previously supported elite youth squads in both football and hockey and is passionate that the same care is taken with the rehabilitation of both elite and amateur athletes. Andrew’s work with children has developed a special interest in the effects of age on healing. Whether you are a child, mild-aged or elderly your age plays a role in your body’s ability to repair and recover. 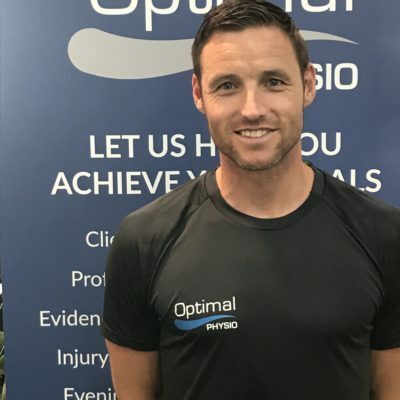 Within the practice he utilises the latest scientific evidence to ensure all treatment and rehabilitation techniques provide the optimal outcome for you in both the short and long term. Andrew enjoys competing in amateur football and road cycling. I worked initially in the NHS in Edinburgh after graduating in 2002 from Queen Margaret University. I soon specialised in Musculoskeletal Physiotherapy. 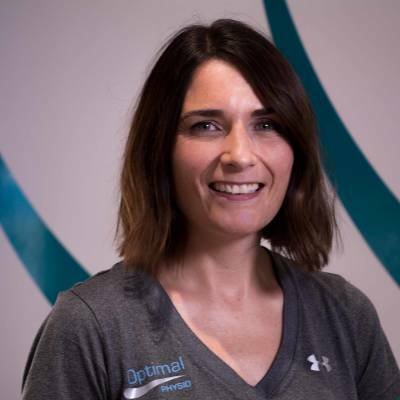 Pamela has worked in Private Practice and Sports Physiotherapy since 2008 in clinics in Edinburgh and Glasgow. 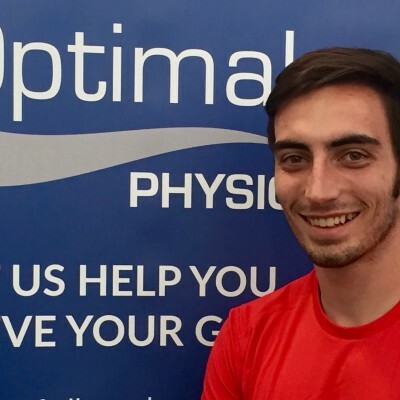 I am now our Lead Physiotherapist at Optimal Physio, Largs. The best part of my job is assisting your return to activity after pain or injury. I use manual therapy and tailored exercises to ensure you achieve this. 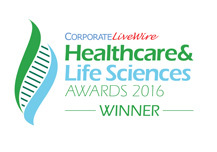 I have worked with clients from many backgrounds including sports, orthopaedic conditions, long-term conditions and spinal pain. Steven and I worked together in Edinburgh very early in our careers and we share a passion for physiotherapy and providing quality evidence-based treatment. BSc. (Hons) Sport and Exercise Science & Masters in Physiotherapy. Member of CSP and PhysioFirst. Steven specialises in sports injuries, end stage rehabilitation, lower limb injuries and low back pain. Steven is a former FIFA International Referee and refereed the Scottish Cup Final in 2016. Bsc Hons Anatomy & MSc Physiotherapy. MCSP. Graeme qualified in 2006 and has since worked in NHS hospitals and health centres throughout Glasgow. He has also been working in private practice since 2011. 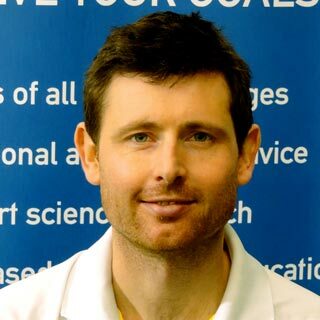 Graeme has a broad range of physiotherapy interests encompassing all aspects of musculoskeletal pain and disability. He takes a person-centred approach and believes strongly in creating a treatment program that is unique, and tailored to each individual. He has a special interest in hand and upper limb conditions particularly shoulder pain and previously worked within the upper limb Orthopaedic clinic at the New Victoria Infirmary, Glasgow. He currently works at the new Queen Elizabeth University Hospital, in Glasgow. Graeme likes to brew his own beer at home and also designed and built his own shed, but not at the same time!